However challenging – and at times frustrating – this swordplay drama is, there’s nonetheless enough reasons to stay watching and endure to the conclusion. With a studio-bound feel that ages it beyond its years and an ambling storyline that sees the useful sub-plots cast aside, ‘My Rebellious Son’ rarely shines. ‘Shanghai Blues’ is, overall, superior entertainment, but by the time the end credits roll its hard not to think of what might have been. 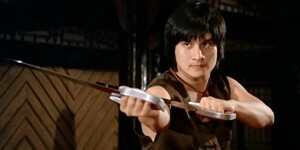 For those seeking a fast-paced fantasy film with no pretensions, ‘The 13 Cold-Blooded Eagles’ fits the bill very well and, while not comparable to genre classics like ‘Swordsman II’, is worth a look. 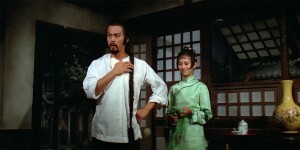 ‘The Blood Brothers’ was not a disappointment in any way and this classic Chang Cheh tale of loyalty, love and revenge is an consistently engaging martial arts drama. ‘The Kung Fu Instructor’ may lack the incisive bite of the great Sun Chung works, but the director is still clearly comfortable crafting a confident work from basic ingredients. Though there is talent behind the lens and in front of it, this is a run-of-the-mill swordplay film with a wasted gimmick. This is an above par HK action comedy and would please all fans of the genre – especially fans of Sammo like myself.